I’m sick of seeing white. I’m tired of playing in the snow. I’m tired of playing in the house. My kids have been home wayyy too long! Oh, and did I mention that I had no internet or cable for nine whole days?! I’m extremely behind reading all of my favorite blogs, scrolling Pinterest, Facebook, and Instagram… answering emails. I feel very out of touch right now! Fortunately I get a lot of snail mail. Magazines and catalogs seem to sensing my growing need to get out of winter (that has barely started – I know). I’m seeing green everywhere in print! Which is great because all of this white out my window has me dreaming of green. Using plants indoors is nothing new in 2016, we saw a lot of that last year. But I feel it still has momentum and is not a dying trend. 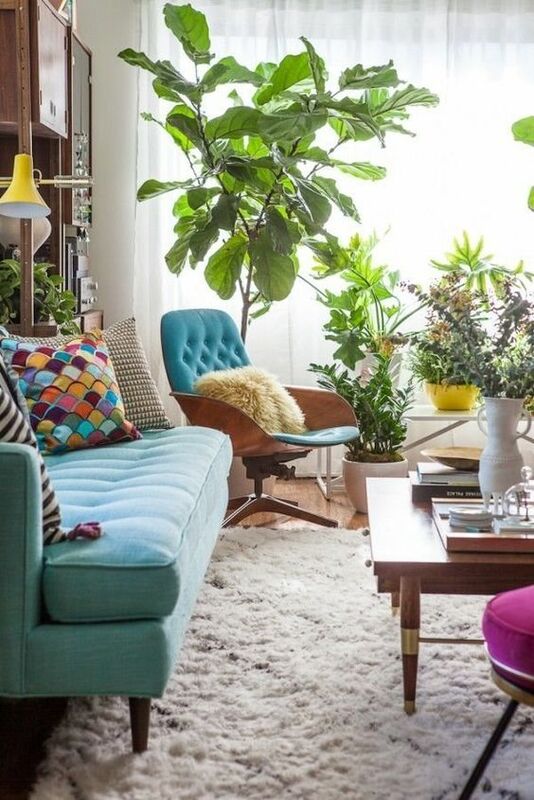 And somehow plants just feel so right when paired with vintage! Here is some indoor green inspiration. Greenspiration. He was outside on our screen porch all summer and thrived there. I brought him in before winter hoping to keep him alive. Clearly I’ve failed. 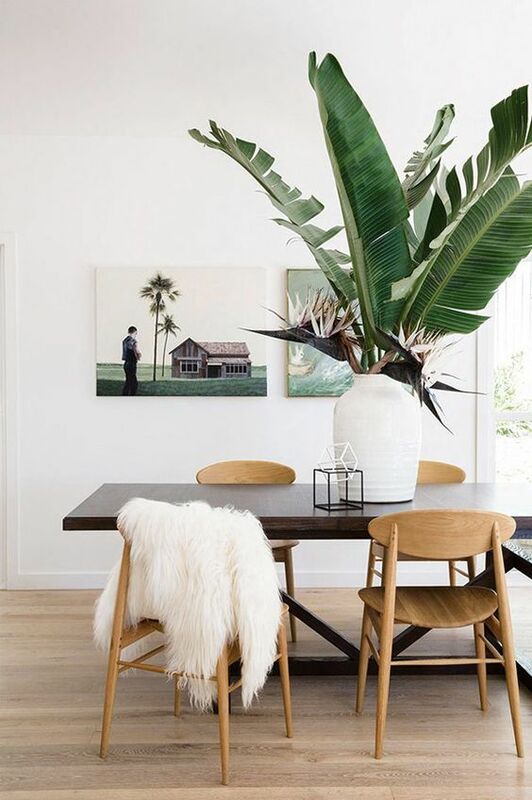 I’ll just stick to admiring all the indoor plants in photos of other people’s homes! Oh no, that poor plant! That corner must be too dark for him. I definitely need to add some succulents to my house. Share your tips with me! Hoping you dig out and can get out of the house soon (to do some thrifting of course). I’ve got one live plant in my house and the rest are faux because I don’t have a green thumb. But after seeing the photos in your post I just might get another plant and give it a try. I don’t think I have a green thumb, either. I’m in denial, though! I keep trying! You poor dear! The only thing that kept me sane was my internet connection during the 5 snow days. I got little work done and it made me grumpy but at least we did not lose power. Yes – that is a good point – At least we had power. But man it was a long few days! Oh no Kristen, I understand completely as I have been house bound for a bit as well! 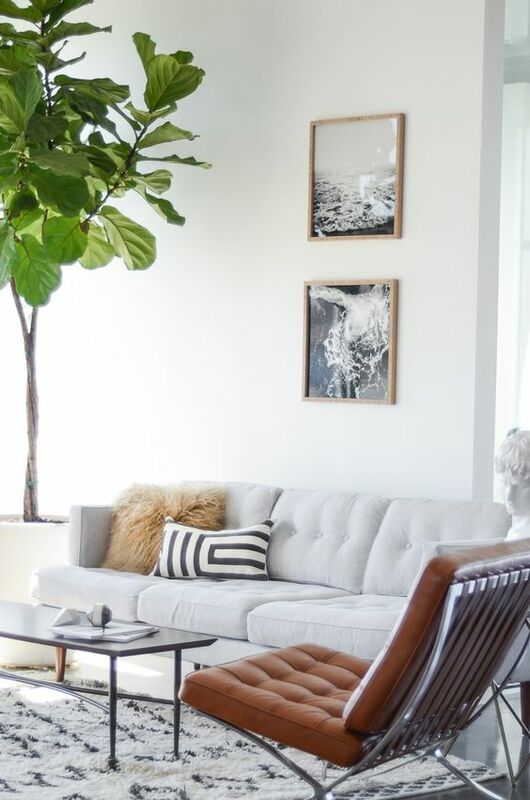 I need to know secrets to keeping a fiddle leaf fig alive! They look so fabulous, but I’m scared to try! Oh no. It’s not looking well at all :/ Try a philodendron. They’re so easy! Love the greenspiration, those spaces are seriously goals. Good tip on the philodendron. Will have to pick one of those up.